Allison Itami advises employers and service providers on employee benefit programs, with a focus in federal laws such as ERISA and the Internal Revenue Code, and the ways in which state laws affect benefit plans. Allison works closely with service providers in the IRA and employer plan industry. These service providers include multi-national financial institutions, national and regional broker-dealers, banks, record-keepers, and insurance companies. Allison assists these financial institutions to comply with existing Department of Labor regulations and guidance in addition to providing advocacy regarding proposed regulations, advisory opinions, and individual prohibited transaction exemptions. Allison frequently works with state and municipal governmental units sponsoring and administering benefit plans and programs. She has worked with employers to draft, maintain, or terminate tax qualified retirement savings plans. From drafting policies to assisting with internal or Department of Labor audits, Allison has assisted plan fiduciaries with all manner of compliance processes. She often assists plan fiduciaries in performing legal due diligence on selecting a service provider or investing in an alternative investment option. 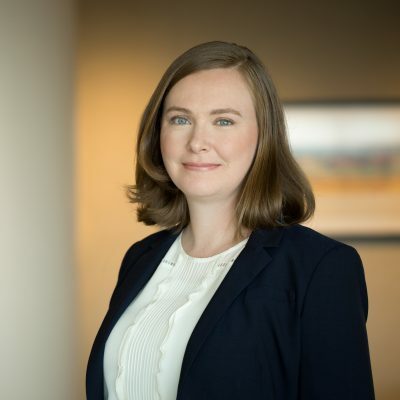 Her practice also includes providing legal counsel on investment items including prudent process and considerations for investing and divesting. The strong partnerships between our clients and our attorneys help us to understand the impact of our recommendations.